Coriolis flow meter with Micro-Bend tube design. 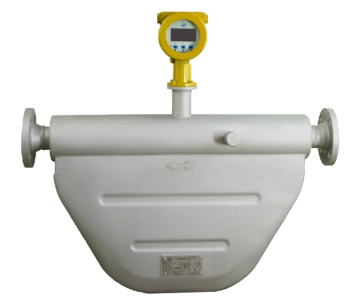 Its compact tube arrangement has a significantly smaller radius than traditional U-tube design Coriolis meters and therefore benefits from reduced space requirements and a reduced pressure drop. Available in sizes 40mm to 200mm and flow rates of 240 - 1,000,000 kg/hr.